under rated opera, i think. 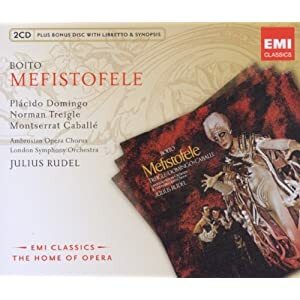 I'm assuming you're referring to Mefistofele by Arrigo Boito? If so it's certainly not under rated by me. I think it's an absolutely fabulous opera which I never get tired of listening to/watching. I have these CDs - both excellent but I prefer the Ramey & Eva Marton sings exquisitely. I think this production was created especially for Samuel Ramey & I've played it so often, my copy's in danger of wearing out. It's my dream to see this live one day. thank you, i think it's great too. i was also looking at the Rudel, Muti and Serafin recordings. Many to choose from, huh? Yes! I haven't heard any others apart from the two I pictured above. 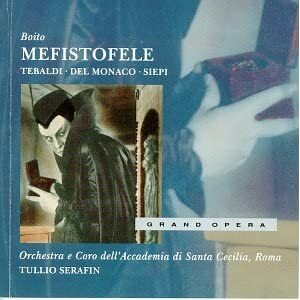 But I have to confess I am tempted to get this one because I adore Cesare Siepi. Yes. I bought this version second hand from the ROH shop. I like it very much but I don't know whether I like it because it's good or because it's Boito, who I worship. Because it's good. I heard it on the radio once and it's stuck in my brain. What's your Boito worship based on? these operas and his libretti or other. thanks. What's your Boito worship based on? these operas and his libretti or other. the thing i'm always concerned with on recordings is cuts. i hate them. i hope they're all complete. I have the Rudel recording. Treigle is fantastic. Aaarrgghh!! Please no more recommendations! And the Muti got rave reviews, too. Last edited by Itullian; Nov-11-2011 at 22:08. I do have Nerone...I think the same version...sung in Hungarian...brrrrrr. 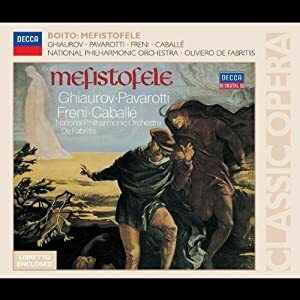 I love Mefisto, I have the Pavarotti's version on CD and I don't remember the DVD but it's not exciting.. 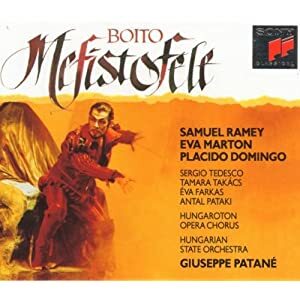 I have the Del Monaco, Tebaldi and Siepi cd and i have seen the DVD/Video with Samuel Ramey. Both are pretty good. In the cd Del Monaco reins in his normal 'forte' style of singing and i think is on his best behaviour here. Siepi is as dark voiced as ever, singing beautifully. The DVD is fairly old now and parts of the staging are a little odd. The ending is spectactular. There were some reservations about Denns O'neill. 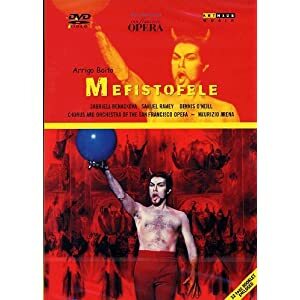 I have seen him many times with Welsh National Opera and enjoyed his singing very much (mainly verisimo) but on the DVD he seems wooden and a little stretched. The one cd i would recommend is highlights with Di Stefano and Siepi. I have never seen it out as a full version cd. It is superb and i would recommend it as first choice. The Muti cd with the sadly recently departed Vincenzo la Scola and Michelle Crider, well it got some good and bad reviews. I listened to it in the shop and did not like it. Something with the sound as i recall. Maybe try before you buy if possible. Yes, that is the one I meant. All times are GMT +1. The current date and time is Apr-24-2019 22:59.